Trees in woods. Photo by Donna Brok. Our trees and shrubs are suffering and changing as a result of climate changes, and as a Board Certified Master Arborist, that concerns me. What also concerns me is that many professional arborists insist on denying scientific consensus on the reality of global warming. Emission of greenhouse gasses caused by humans is the leading factor contributing to climate change. In 2001 the Intergovernmental Panel on Climate Change, the leading international body for the assessment of climate change, issued a report that said there is new and stronger evidence that most of the warming observed over the last 50 years is attributable to human activities. This poses a substantial risk that could undermine the prosperity and stability of our society. 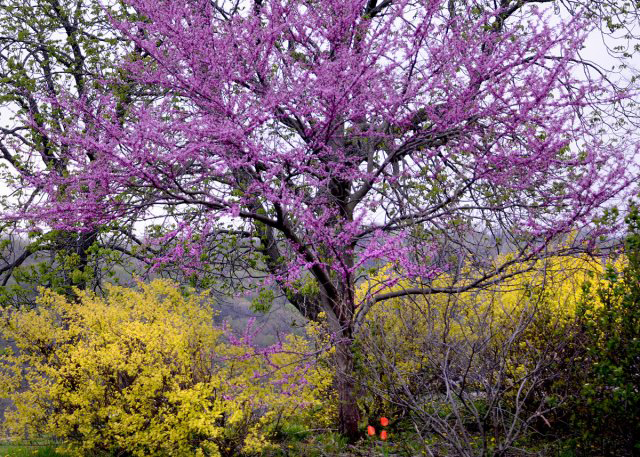 Eastern redbud. Photo by Donna Brok. As an arborist I wish my professional colleagues would quit denying the obvious and lead the way in finding creative ways to befriend the earth. As professionals, we have an obligation to act in concert with scientific research. We distinguish ourselves by the claim that our practices are dictated by good science. Climate change means warmer temperatures and more wildly fluctuating weather events in our area. These warmer temperatures are responsible for drought conditions that stress trees. 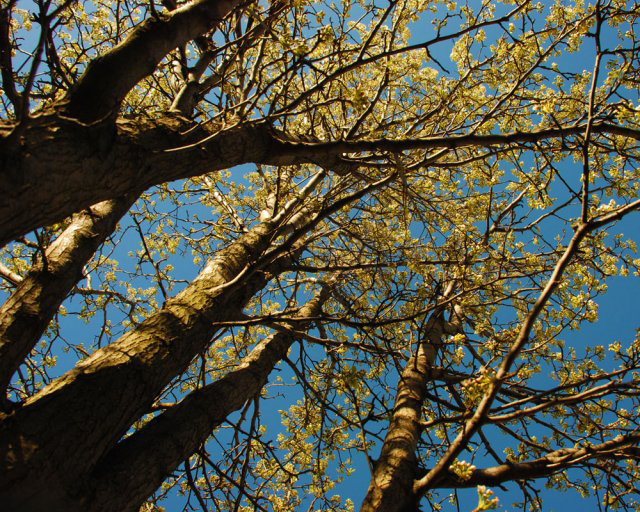 Warmer temperatures also result in “tree migration,” where some kinds of trees can no longer survive here while other invasive trees can more easily become established. Bur oak. Photo by Donna Brok. But most importantly, warmer temperatures give tree pathogens a distinct advantage over trees. Essentially, warmer temperatures don’t kill pathogens that are normally limited by cold winter weather. The pathogens evolve more quickly and it becomes more difficult to predict insect and disease outbreaks. The range and distribution of tree diseases and insects change. Last, warmer temperatures open the door to invasions by non-native insects and diseases. Local examples include the arrival of diseases such as sudden oak death and insects like the hemlock wooly agelgid. We are also witnessing the widespread death of pine trees from a combination of needle fungi and bark beetles. These insects and diseases are a direct result of warmer winter temperatures and lengthy periods of drought. Healthy Austrian pine. Photo by Donna Brok. Here are some ways that arborists, gardeners and concerned tree stewards should respond to this growing threat that we created. Trees are often the first victims or the canaries in the coal mine, but they are also a part of the solution. Trees suffer from global warming because they clean our atmosphere of carbon dioxide and we are working them to death. In order to do their job they must remain alive and that means we must help them by reducing controllable stressors. Knowing how to identify the difference between drought stress and fungal infection, for example, is key to maintaining existing plants. Understanding your tree’s water needs can mean the difference between life and death. With a little attention the lifespan of a tree can easily be doubled. In order to properly attend to your trees’ watering needs, look for signs of water stress. If your leaves are changing color, shriveling, or curling they could have a water issue. If the soil is cracked and dusty, your trees are likely thirsty. Trees in spring. Photo by Donna Brok. One good tool to have is a moisture meter. This tool enables you to determine the moisture content of the soil below grade without digging. This is important because the surface soil moisture content is not a good indication of moisture levels where the tree roots are, which is 4 to12 inches below grade. 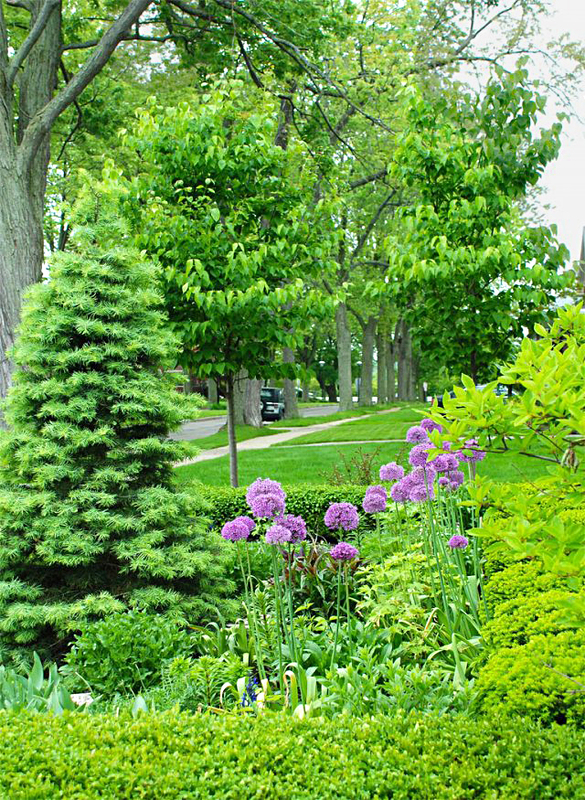 For the same reason it is important to understand the sprinkler systems are good at watering grass and flowers but do little to irrigate trees. Education is important for gardeners and those they hire. Before you do something for a tree, know why. If you hire someone to do something to your trees, demand that they are educated, certified, trained and generally knowledgeable about and interested in your trees. Certified arborists understand and properly care for trees. The certified part is critical. A certified arborist is to tree care what a doctor is to health care. Certification indicates very real and earned credentials. Certified arborists are governed by the International Society of Arboriculture and are vetted through an intense process assuring that you are getting the best when you hire someone who is certified. 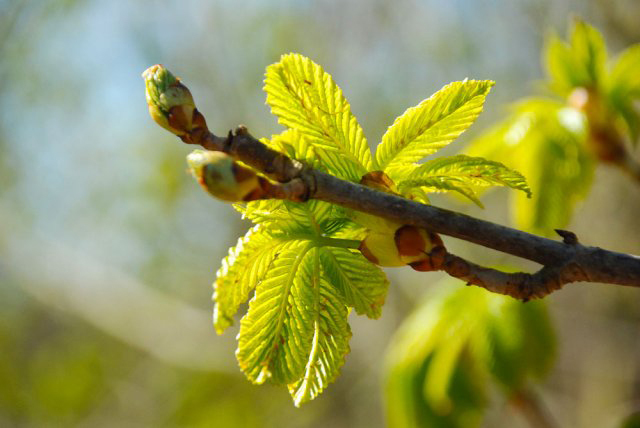 Buds on chestnut tree. Photo by Donna Brok. Another way to become educated is to organize and attend educational events. 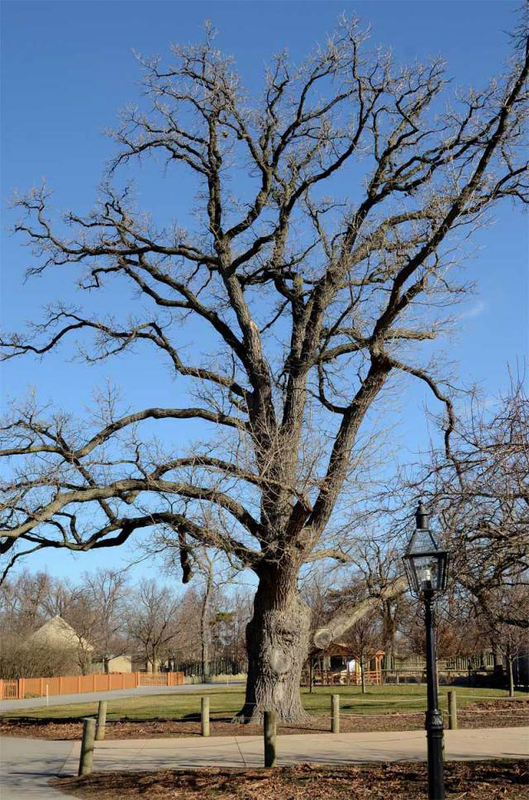 It your town holds a public meeting about a tree project, get involved. If your garden club brings in a speaker, listen and ask questions. If you attend a garden show, go hear the speakers. If your community doesn’t have these things, take the lead and get something started. Too often municipal trees get ignored. According to the International Society of Arboriculture, municipally planted trees die 80 percent of the time from a combination of poor planting practices and lack of aftercare. Let your elected officials know that you care about how the forestry budget is used and that you’re watching. It’s your money after all! Enjoy your trees like you do your pets and children. Wear your pride and joy on your sleeve so that others can see what you hold important. With any luck your interest in trees will be contagious. This is a way to start conversations with friends and neighbors about the importance of trees and the realities of climate change. How to keep cool in Buffalo and other summer gardening tipsYou can enter a hosta show, tour artists’ gardens & more! I could not agree more with your position on climate change and the introduction of nonnative insect species and disease to our area. I work with a tree grower locally and will be photographing the effects from last year on nursery trees that are showing damage this year. Sad but true, we are in for some major changes. Very interesting and very well written article. Very thought-provoking. Besides attention and watering, are there any species of trees being encouraged or discouraged, besides ash? My name is Jeremy, the author of the article. I wanted to respond to Eileen’s excellent question. First, avoid trees that are not native and thus prone to insect and disease problems. Do not plant Norway Maple, white barked Birch trees, plum trees, Austrian Pine and Canadian Choke Cherry for example. 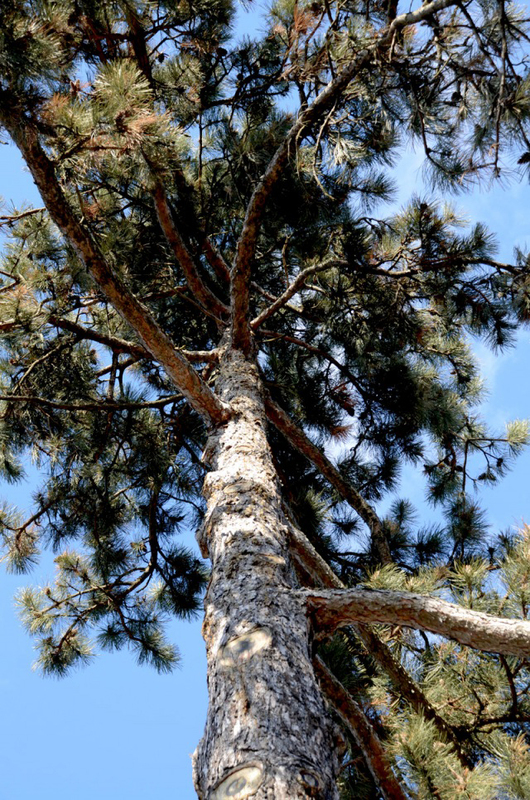 Pines of all types are problematic due to their intolerance of draught. Most importantly, avoid improperly planting ANY tree. Do not “volcano” the tree by planting it too high, do not plant too deep, and remove burlap and wire baskets from the root ball. Last, remove excess dirt that is often piled on top of the root ball. I think the media often does a poor job of reporting science news, and it’s helpful for gardeners to get this good information.